Acer Direct is now part of Laptops Direct. 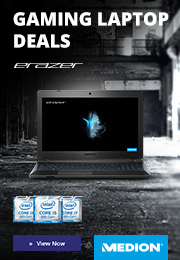 We made the move to give you a better shopping experience with access to even better Acer deals and more brands! If you have any queries about a previous order you can call us on 0871 244 0934, or drop us an eMessage. ASUS TUF Gaming FX504 is a powerful Windows 10 laptop that combines immersive gaming with an extended lifespan that goes far beyond standard. Take your workday productivity to new heights with the TravelMate P2. 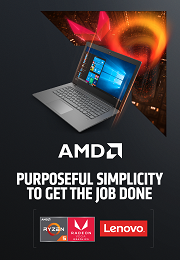 Combining processing power, portability and durability, and with a range of handy business features and connectivity options, it's everything a professional laptop should be. The Medion Erazer bridges the gap between a laptop to play on and a system to work on. Thanks to Windows 10 Home you can be productive without problems or enjoy the worlds largest choice in games. This Lenovo IdeaCentre PC provides amazing performance for the computing needs of you and your family. This is thanks to its Intel Celeron processor, 4GB of RAM and 1TB storage which allows you to effectively multitask. HP EliteBook 840 G1 empowers users to create, connect, and collaborate, using enterprise-class performance technology that helps keep you productive in and out of the office. Powered by a Core i5 processor, 8GB RAM and a 256GB SSD. Groundbreaking price for this groundbreaking phone. Arguably one of the best point & shoot camera phones to exist! ALEXA/GOOGLE HOME COMPATIBLE. Control your lighting in your room from anywhere using your smartphone! Over a million colour combinations so you can match your mood! This great value 55" 4K Curved Android Smart TV comes with unrestricted access to the Google Play Store and loads of free channels, so you'll never be short of something to watch ever again. Stylish and functional. A beautiful curved 5" 2.5D Glass HD display, great camera and a super fast processor! Perfect for selfies with it's front facing LED and hand-gesture shutter control! Add an extra level of security to your home or business with this all-in-one CCTV System. Includes a dedicated app so you can view footage anywhere. The Xiaomi M365 is the perfect scooter for commuting, ferrying you effortlessly from car or train to office and back again. A top speed of 15mph means that two miles of walking comes down to an eight-minute journey, without crowds, hassle or effort. It's so tiny, you won’t believe it’s real! It’s the perfect gift for any gadget lover and fits in any bag or pocket no matter how small! LG 21:9 Curved UltraWide Monitor with Full HD wide screen real-estate. Ideal for using various programs with controlling and monitoring more thumbnails or timelines- simultaneously. We’re entirely UK based so you can rest assured you will always recieve the best service, expert advice and value for money. 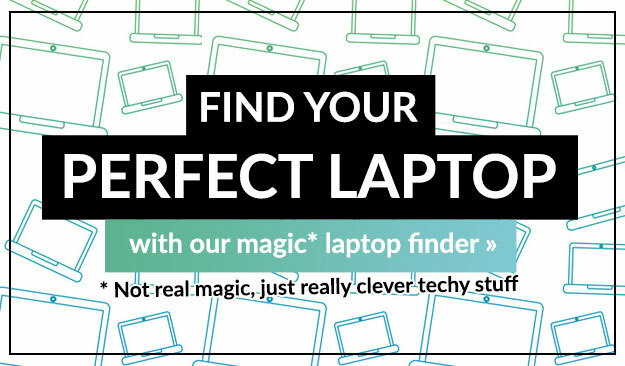 Laptops Direct is the UK's largest specialist supplier of Laptops, PCs, Tablets, Computing Accessories and more. Every year we supply over 10 million laptops and accessories to happy customers all over the UK and beyond. As well as new products we also provide a great range of fully tested and professionally Refurbished Laptops and Desktops. We're proud to offer a huge range of products from brands you know and love including the likes of Acer, Apple, electriQ, HP, Toshiba and more. If you'd like some help finding the right product for you and your family just give us a call and our expert advisers will be happy to help. 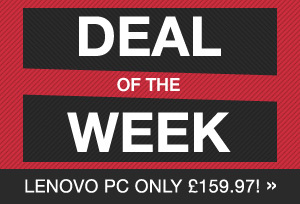 We offer the latest laptop and PC technology with a huge range of features available. Laptops allow you to access the internet, use a wide variety of applications from spreadsheets and emails to design and editing tools and provide entertainment through games and multimedia content. The capabilities of a laptop are very similar to that of a PC but thanks to a built in battery you can take them with you and use them on the go easily. PCs are a great option if you only plan on using a computer when at home. They're larger than laptops and need to be plugged in to operate. A regular desktop PC will need a monitor, keyboard and mouse connected to it to be used properly. All in One PCs have a monitor built together with the PC so you'll only need a keyboard unless it's a touchscreen All in One then you won't need any extras. PCs are great if you want to use them for long periods of time as you can position the monitor and keyboard where you feel most comfortable. Tablets are usually smaller than laptops because they have a touchscreen meaning they don't need a keyboard or mouse to operate. This makes them super portable and easy to use, allowing you to swipe, tap and pinch things on screen with your fingers. Convertible Laptops, or convertible tablets, come with keyboards that you can remove or fold out of the way. This means you can use the tablet for work and type easily thanks to the keyboard then, when you want to use it as a tablet, simply remove or fold the keyboard away to enjoy a sleek touchscreen tablet.